Whether your company has been running for generations or you just launched a startup last week, your brand is one of the most important aspects of your business. No matter what stage your business is in, controlling your brand, its message, and its relevance is of the utmost importance. The first place you’d probably think to promote and push your brand would be through your website (duh) and your social media. Social media has a ton of advantages including being able to promote your message and interact with your following, but there are other channels you can take advantage of in order to get in front of your customer base – paid search – branded keyword bidding, in particular. 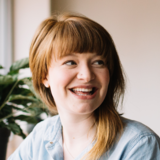 If your marketing efforts already include paid search, you likely know exactly what I am talking about, but if not, it is a fairly simple concept. In addition to the keyword and content driven words you want your website to show up for, you can bid on your brand name and variations to ensure your site shows up at the top of the results page – through traffic paid and organic. 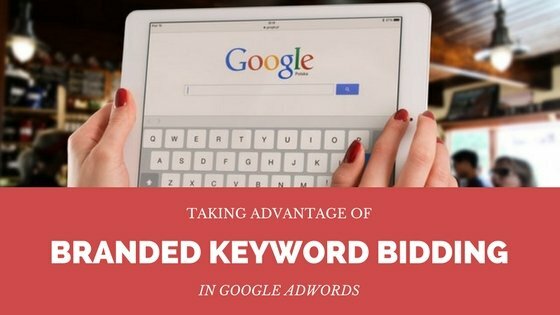 Throughout the years there have been arguments as to whether branded bidding is a worthwhile venture or a financial burden (plug anti article), but we at Momentum believe that with the landscape of paid search becoming more and more competitive it is a necessary part of your overall PPC strategy. 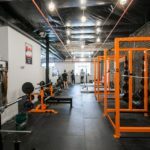 Like I said at the beginning of this article, your brand’s message is something unique that a business owner is able to control, so by pushing it through a channel like paid search you are giving yourself more ammo to use in the battle to promote your business. Your company might not own the real estate in organic traffic to be the first result, so bidding on your brand can ensure your name and message are seen by customers old & new. Additionally, for newer brands and companies in the process of a rebrand, branded keyword bidding gives you the opportunity to test your message and see the reaction in the form of hard data. 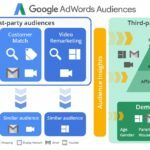 Obviously, there are other ways to test and measure your message through analytics or social media, but by tailoring your branded campaign around your goals, AdWords can provide you unique information. In addition to key metrics like click through rates and conversions you get with any AdWords campaign, the ability to test and retest how you deliver your message through ads is invaluable to a brand trying to get its name and mission in front of the right audience. For brands in highly competitive industries, branded keyword bidding is an avenue that you cannot pass up on. A competitive landscape means only one thing for digital marketers, high prices. The digital landscape is only becoming more crowded which means more and more keywords will have their average cost-per-click increase on a monthly, if not weekly, basis. This makes branded keyword bidding all the more important because of the price of advertising. Typically, your brand will be cheaper to bid and rank first for because of the volume people are searching for it and lack of competition for the word itself. By no means is branded bidding cheaper one hundred percent of the time because competitors also have the ability to bid on your brand. This practice is becoming increasingly popular for multiple reasons. To start, with multiple people or companies bidding on your brand your costs are only going to go up. Costs going up will mean depleting your PPC budget faster, and reducing your overall reach for your account. Besides simply raising your prices, competitors bidding on your brand will result in their ads showing up with yours. Luckily, you will have the advantage because of your landing page relevance and quality score, which should result in you securing a better average position. However, at this point you are at the mercy of the user being more engaged with your ads or your competitor. 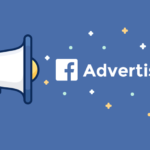 Luckily, there are a lot of things you can do to be proactive and get that attention on your ad. Taking up as much ”real estate” as possible online is something we stress at Momentum, whether it on a search results page or for an individual ad itself. Using your brand in conjunction with your services is a great way to ensure your branding comes up. Additionally, ad extensions are especially helpful for making your ads big and telling the rest of your brand’s story. Sitelink extensions can direct users to your best-converting pages or help promote poorly performing pages you want to give a boost to. Callouts and Structured snippet extensions are great for advertising your company’s unique value propositions as well as specials & promotions. To conclude, branded keyword bidding should be a marketing given. Simply put, it is an efficient way to ensure your brand name shows up should anyone search for it via Google. Organic traffic has the ability to make up for this, but unless your name is truly unique (#7 in the SEJ blog) and does not include any ties to your industry you’ll be fighting a long term battle for SEO supremacy. Branded bids and branded ads will ensure your message gets in front of your intended audience and allows you to take up as much real estate as possible on the search results page as quickly as possible. If you have any questions on how to promote your brand through paid search, please feel free to contact us by phone or email. The Momentum team is always available for a free PPC or SEO audit to get your brand on the right track.